“What do we do about CMV?” Good luck getting universal agreement on the answer to THAT question! CMV can cause BIG problems in certain susceptible transfusion recipients. Dr. John Roback has spent the last few years at the heart of the debate, and he’s here to help! For decades, Transfusion Medicine specialists and clinicians have been aware of the potentially devastating consequences of transfusion-transmitted Cytomegalovirus (CMV) infection. Patients at risk, including premature babies, organ and hematopoietic progenitor cell transplant recipients, and other oncology patients, require special attention to prevent transmission and subsequent activation of CMV. However, it has been difficult getting agreement on the best way to prevent CMV transmission. Bowden and colleagues published a landmark study in 1995 that many thought would resolve the question. The authors suggested that the two main options, “CMV-seronegative” and “leukocyte reduced” blood products were essentially equivalent. However, the issue was decidedly NOT resolved, as questions arose surrounding that study and the few other studies comparing the two options performed since. Thousands of pages have been written, voices have been raised, tears have been shed…you get the picture. Dr. John Roback has been at the forefront of this “battle” for years. He was senior author on a 2016 AABB Committee Report (reference below) that was originally intended to end the argument. However, Dr. Roback and his colleagues on the AABB Clinical Transfusion Medicine Committee found the “evidence” to be…well, not great! They decided instead to summarize the information to date, and John is here today to tell us all about it! I have previously expressed my personal feelings on TT-CMV prevention, both on this podcast (see Episode 044, where I discuss it with Dr. Pat Kopko) and in a video I did on leukoreduction in 2013 (it’s a little dated now, but still relevant). In short, I don’t completely agree with Dr. Roback’s personal philosophy outlined in this interview, as I generally believe that modern prestorage leukocyte reduced blood really is equivalent to CMV seronegative blood. However, this just illustrates again the variation in practice in the U.S.! Seriously, can’t we just get pathogen reduction figured out for all products so we can stop worrying about CMV?? 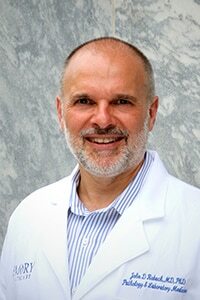 Dr. John Roback is a graduate of the University of Chicago Pritzker School of Medicine for both his MD and PhD. He is a Professor of Pathology and Laboratory Medicine at Emory University in Atlanta, GA, where he is medical director of the Emory University Blood Bank and the Emory Medical Laboratories. He is also Director of the Emory Center for Transfusion and Cellular Therapy. Dr. Roback, in addition to serving as editor-in-chief of the 16th and 17th editions of the AABB Technical Manual, has authored numerous peer-reviewed scientific articles and book chapters, including several on the TT-CMV issue discussed in this podcast. His research focuses primarily on improving the safety and efficacy of blood transfusion and hematopoietic stem cell transplantation. He received the prestigious “President’s Award” from AABB at the 2017 Annual Meeting. DISCLAIMER: The opinions expressed on this episode are those of my guest and I alone, and do not reflect those of the organizations with which either of us is affiliated. Neither Dr. Roback nor I have any relevant financial disclosures. The images below are ©2013, Wiley Publishing (used with permission of Wiley Publishing and Dr. Roback). Please do not reproduce without permission from Wiley Publishing. AABB Committee Report on TT-CMV: AABB Clinical Transfusion Committee et al. AABB Committee Report: Reducing Transfusion-transmitted Cytomegalovirus Infections. Transfusion 2016;56:1581-1587. The classic “Bowden Study” on LR vs. CMV serology: Bowden RA et al. A Comparison of Filtered Leukocyte-Reduced and Cytomegalovirus (CMV) Seronegative Blood Products for the Prevention of Transfusion-Associated CMV Infection After Marrow Transplant. Blood 1995;86(9):3598-3603. Landmark study Dr. Roback discussed showing post-natal CMV infection is usually from breast milk rather than blood: Josephson CD et al. Blood Transfusion and Breast Milk Transmission of Cytomegalovirus in Very Low Birth Weight Infants. JAMA Pediatr 2014;168(11):1054–1062. Excellent editorial by Drs Roback and Josephson outlining new thoughts about TT-CMV prevention: Roback JD and Josephson CD. 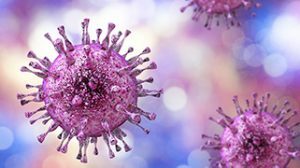 New insights for preventing transfusion-transmitted cytomegalovirus and other white blood cell–associated viral infections. Transfusion 2013;53:2112-2116. Article describing the “one-year CMV-positive” donor strategy: Ziemann M et al. High prevalence of cytomegalovirus DNA in plasma samples of blood donors in connection with seroconversion. Transfusion 2007;47:1972-1983. Article describing “window-period” TT-CMV: Ziemann M et al. Window period donations during primary cytomegalovirus infection and risk of transfusion-transmitted infections. Transfusion 2013;53:1088-1094. Article on effectiveness of LR for TT-CMV prevention: Thiele T et al. Transmission of cytomegalovirus (CMV) infection by leukoreduced blood products not tested for CMV antibodies: a single-center prospective study in high-risk patients undergoing allogeneic hematopoietic stem cell transplantation. Transfusion 2011;51:2620-2626. As far as I know, no studies with low birth weight infants and pathogen reduction technology have been done. Are you aware of any in progress? I’m not, Dawn, but I’m also not someone who has my finger on the pulse of all the ongoing studies. I’m sure that is something that will be done at some point.